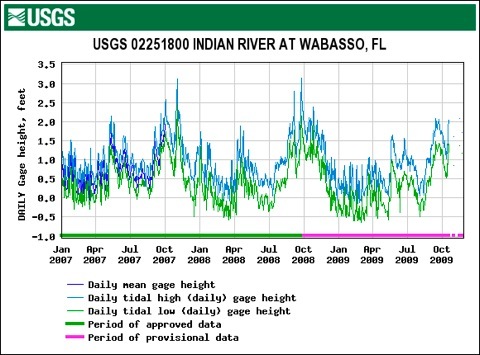 Real-time and historical water level data is available for many locations along the ICW. Boaters are advised to consult this data to gain additional knowledge to assist them in assessing CW channel depths and bridge clearances. NOAA news release, 8 Sep 09, cites abnormally high water levels along the E coast due to Gulf Stream changes. 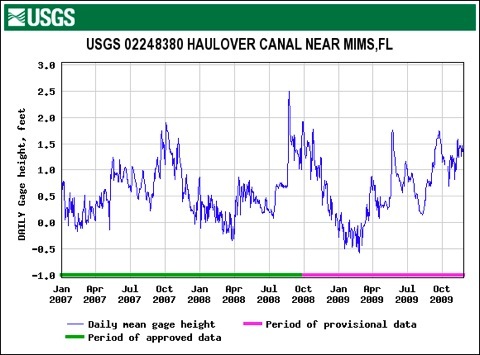 Bay Journal article, Oct 09, on higher water levels along Atlantic coast.